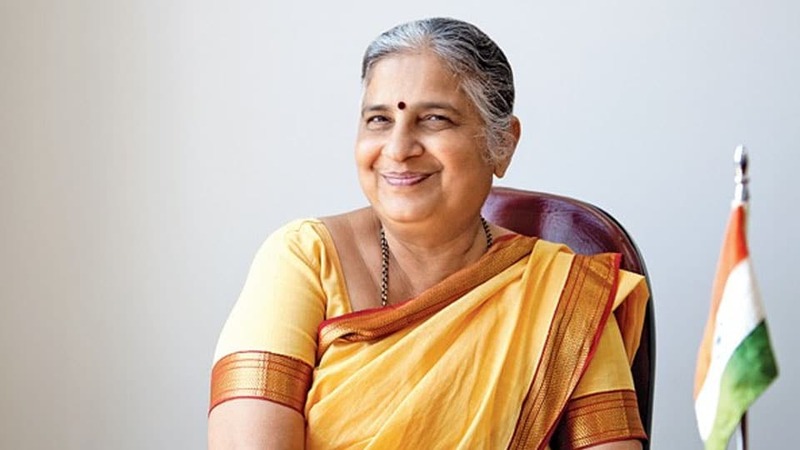 Sudha Murthy, a lady who famously know to build up the base of the Infosys Foundation or as a philanthropist but she is much more than that. Sudha carries a very strong personality with her that leaves the lasting impression on every people whom she met. Sudha Murthy’s book, Three Thousand Stitches: Ordinary People, Extraordinary Lives is a proof of how she has a badaas take on life. Positivity and a wonderful ode to the spirit of human life that’s both taught and inspired her in many different ways. She made some candid revelation, as back in the 60s she is the only girl child to opt a course like engineering. I had always been fascinated with science, even more so with its application. Engineering was one of those branches of science that would allow me to utilize my creativity, especially in design. But it was as if I had dropped a bomb inside our house. The immediate reaction was of shock. Engineering was clearly an all-male domain and hence considered a taboo for girls in those days. He (the principal) told my father, “Doctor Sahib, I know that your daughter is very intelligent and that she has been given admission only because of merit, but I’m afraid we have some problems. She will be the only girl in college. It is going to be difficult for her. First, we don’t have a ladies’ toilet on campus. We don’t have a ladies’ room for her to relax either. Second, our boys are young with raging hormones and I am sure that they will trouble her. Sudha also explains the struggles and harassment she faced at the hands of the boys in her college. I knew that some of them wanted to whistle but I kept a straight face and looked around for a place to sit. The first bench was empty. As I was about to sit there, I saw that someone had spilt blue ink right in the middle of the seat. This was obviously meant for me. I felt tears threatening to spill over, but I blinked them away. In time, I became unfazed that my marks were displayed on the notice board. On the contrary, I was proud that I was beating all the boys at their own game as I kept bagging the first rank in the university.